There have been many opinions through the centuries as to who Jesus was. Today some think of him as a teacher, a prophet, a martyr, or a fool. Everybody has their opinion, but who did Jesus himself claim to be and what evidence did he give to support his claim? Jesus made many radical claims about himself. He claimed to be a king ( Matthew 25:31-34) and Lord ( John 13:13), the good shepherd (John 10:11,14), the Jewish Messiah (John 4:25-26), and the Son of God (John 10:36-37). He also claimed to be able to do anything God could do (John 5:16-24) because he claimed to be God (John 10:30-33, 12:45). The Pharisees, who were experts in the Law, had a point. According to the Law, one could determine the truth of someone’s claim only if there were two or more witnesses. Jesus himself admitted that this is so ( John 5:31). So Jesus’ testimony could only be considered true if he had the required witnesses. The Pharisees, confident that he didn’t, came to the conclusion that Jesus’ claims were false. Jesus mentioned his first witness, John the Baptist, who, when Jesus came to be baptized, declared him to be God’s “Lamb” who takes away the sins of the world (John 1:29). John’s whole purpose in life was to prepare the people for Jesus’ coming, to testify to who he is and what he would do (Luke 3:15-17). The very scriptures that the Pharisees revered testified to who Jesus’ is. He gets a little more specific in verse 46, where he says Moses wrote about him. So, Jesus claimed three witnesses (not including John): His works (the miracles or signs), God the Father, and the scriptures. As in a court of law, it is not enough to just produce witnesses. One must listen to their testimony to determine the truthfulness of the defendant’s claims. The Jews of Jesus’ day saw his works, were present at his baptism, and had the scriptures. They were able to examine these witnesses for themselves and come to a verdict. None of us living today were present at Jesus’ baptism, but we still have a record of the first witness (his works), and we have the third witness, the scriptures of his day. So we have all the evidence we need to determine if Jesus was lying or telling the truth about himself. The scriptures that Jesus referred to are the same as today’s orthodox Jewish Bible or our Old Testament. The Old Testament is a collection of Jewish books. The orthodox Jews, not the Christians, have been in charge of ensuring the accuracy of the Old Testament as it was copied and recopied over the centuries. No orthodox Jew would think about changing the Old Testament, and they certainly wouldn’t change it to support the claims that Jesus made. So, just for the sake of argument, I want us to think about the Old Testament not as a Christian book but as a Jewish book. Then if we find that the witness of the Old Testament supports Jesus’ claims, then the testimony, from a “hostile” source, is that much stronger. Many of us are familiar with various messianic prophecies in the Old Testament that Jesus fulfilled. We sing about them every Christmas (whether we know it or not). But, I’m not going to focus on the “messiah-ship” of Jesus. Instead, I want us to see what the Old Testament has to say about Jesus’ claims to be equal with God. Can these claims be supported from the Old Testament? Let’s take a look at two of Jesus’ miracles and compare them with the Old Testament scriptures. Instead of giving a direct answer to John’s disciples (i.e. “Yup, I am the one!”) and sending them away, he healed many people. Then he tells the disciples about an hour later to go back and tell John what they saw and heard. Jesus knew that these miracles and words would assure John much more than a direct “yes” or “no” answer would because John was familiar with the scriptures and Jesus’ actions and words would ring a bell, recalling certain passages to mind. And in that day shall the deaf hear the words of the book, and, out of obscurity and out of darkness, the eyes of the blind shall see; and the meek shall increase their joy in Yahweh, and the needy among men shall rejoice in the Holy One of Israel. This passage is even clearer about who Jesus is. For it is Yahweh God (the Lord God in the King James version and the greek scriptures of the day) that does all these things. Jesus did these same things – some right in front of John’s disciples. So the miracles and words that they witnessed would have assured John that Jesus is Yahweh God (see also Isaiah 49:23, 28:16, Matthew 9:27-30, Luke 4:16-21, 9:11-17, 13:11-13, John 5:19, 10:36-37). Well… maybe I’ve overstepped my bounds here. Maybe Jesus wasn’t really trying to say he was God. Maybe he was only a man being used by God. Let’s look at another one of Jesus’ miracles and see what it says. Yahweh, God of hosts, who is like to you, the strong Yah? when its waves rise up, you still them. Jesus’ actions should have given his disciples their answer. Jesus didn’t have to pray to God to calm the sea. He just spoke and it was done, showing that the power to do so was his own. and he brings them to their desired haven. and praise him in the session of the elders. If the disciples had compared what happened to them to what was written in this Psalm hundreds of years earlier, they would have had their answer: Jesus is Yahweh, the Lord God. 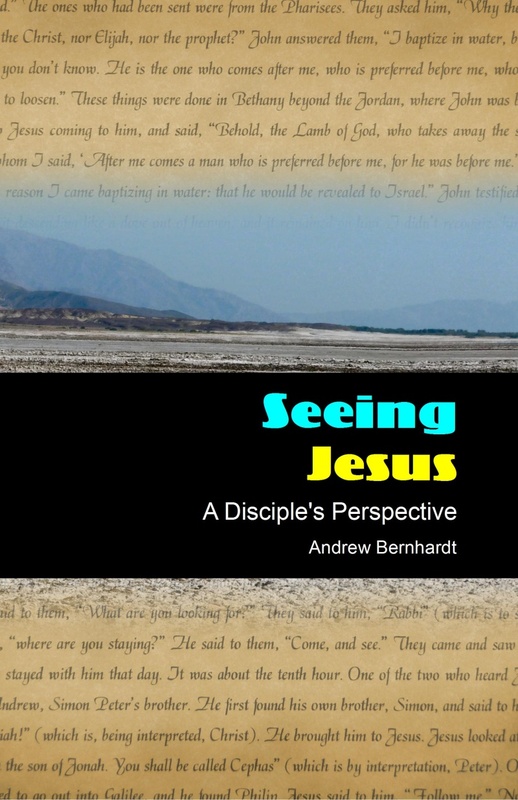 We’ve looked at some evidence from Jesus’ miracles recorded in the New Testament. Now let’s look at Jesus’ third witness, the Old Testament scriptures, to see if over-zealous Christians made up the idea of the Trinity. The Christian concept of the Trinity is not easily understood. It is not three gods in one, but three persons in one God. We Christians believe the scriptures when it says there is only one God (Deuteronomy 6:4, Isaiah 43:10), but we also believe there are three persons that make up the Godhead: The Father, Jesus the Son, and the Holy Spirit. These three persons are equal in nature and power, but fill different positions in the Godhead (so that, for example, Jesus has authority to send God’s Holy Spirit (John 15:26)). Isaiah was written about 700 years before the advent of Christianity. A virtually complete copy of it, dated to 125 B.C. was found among the Dead Sea Scrolls, so we know it wasn’t “contaminated” with Christian doctrines. In Isaiah 48:12, someone is speaking. The question is who. Who is speaking here? He claims to be the first and the last. He claims to be the creator of the earth and to have an eternal (timeless) existence. And yet, in verse 17, he is sent by the Lord Yahweh and his Spirit. This is a clear reference to the Trinity in the Jewish scriptures. And Yahweh shall be king over all the earth: in that day shall there be one Yahweh, and his name one. Behold, the days come, says Yahweh, when I will raise to David a righteous Branch, who shall reign as king, and act wisely, and shall execute judgment and righteousness in the land. In his days Judah shall be saved, and Israel shall live in safety; and this is his name by which he shall be called, Yahweh our Righteousness. Here the descendant of David, the promised Messiah, is sent by Yahweh and is called Yahweh. Other familiar messianic prophecies also say that the Messiah is God. In Isaiah 7:14, the virgin’s son is called Immanuel, or “God With Us”. In Micah 5:2, the one born in Bethlehem had existed from eternity. In Isaiah 9:6, the child who is born is called Mighty God and Father of Eternity. These are not isolated examples. There are many more in the Old Testament that testify that Jesus is who he says he is. Faith is not blind. Jesus didn’t ask people just to take his word for who he was. He appealed to his witnesses. Is Jesus who he says he is? Is he God? The evidence says yes, but you must come to this conclusion for yourself. If He is equal with God, if He has the power to give life to those who believe in Him (John 5:21,24), then you must make a decision – to believe in Him and obtain eternal life with Him or reject Him and choose eternal death. The decision is yours. Great defense of the teaching of the Trinity. I have spent hours studying this since my granddaughter began attending Watchtower meetings. Another verse that I like is Isaiah 48:16. Here the Messiah is speaking through the prophet and the three are included. I think that the entire section of Isaiah from 41-48 teaches that the Godhead consist of Father, Son, and Holy Spirit. Clearly it teaches that our Redeemer and Savior, Jesus, is also Yahweh.